Fortunately, there are now dental technologies and treatments to keep our smiles intact longer. That’s great news for seniors. The bad news is anyone with natural teeth can get dental cavities. And the longer we have our teeth, the more we expose them to the elements that can cause tooth decay. For seniors with mobility or dexterity problems, wrap tape or an elastic bandage around the toothbrush. If a wider grip is needed, try taping a tennis ball, sponge or rubber bicycle grip to the handle. 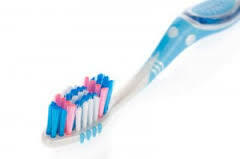 An electric toothbrush may also be helpful for those who cannot maneuver a manual toothbrush easily. And daily flossing should not be forgotten, either — floss holders and waxed floss may make it easier for seniors to continue their oral hygiene routine. As time has passed, people have become better informed on the prevention and contraction of viruses and bacteria. Hygiene, hand washing, proper sleep and healthy eating are essential to ensure a healthy body and best defense against viruses and bacteria that can attack your body. The “Common Cold”, as its name implies, is the most common virus to infect the human body. Children infected by this virus usually become sicker than most adults and are more prone to develop a complication, such as an ear infection. What do you do about your toothbrush after being sick? This has been a long debated question. It is said, that after contracting the “Common Cold” your body builds up antibodies to fight the virus and lower your chances of re-infection. Other’s debate that your mouth has the most bacteria in your whole body. The virus lives on your toothbrush and could possibly re-infect you and anyone who might come in contact with your toothbrush incidentally by sharing toothbrush holders, etc. Bacteria however, like strep throat, will re-infect you and your toothbrush should be thrown away and replaced after you get better.